According to an analysis of the Baltimore metro area housing market prepared by RealEstate Business Intelligence (RBI) and GMU Center for Regional Analysis, the Baltimore Metro Area housing market grew throughout the year 2014 and ended on a positive note. With closed sales increasing 26.7% between December 2013 and December 2014, this was the largest gain the Baltimore metro area has seen since one year prior. Prospective home buyers will continue to have more options as home inventory rises, with active listings increasing 14.1% and new listings increasing 28% in December 2014. Overall, the buyer and seller activity in the housing market has been seeing improvements compared to previous years. Overall, the buyer and seller activity in the housing market has been seeing improvements compared to previous years. What Does this Housing Market Mean for Baltimore Homebuyers? As the overall median sales price decreases, many more Baltimore residents are able to purchase new homes, driving up the closed sales rates as well. The median sales price in the Baltimore Metro Region, $230,000, decreased 1.7 percent, or by $4,075, from 2013. The closed sale rate saw the largest year-over-year increase since 2013 and the highest December-total since 2005, nine years prior. The inventory is also increasing. From 2013 to 2014, there was an increase of 1,474 listings. The Baltimore metro area (Baltimore, Howard, Harford, Anne Arundel, and Carroll counties) saw 11,922 total home listings as of December 2014. 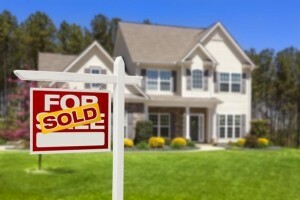 Buying a home is becoming more accessible than ever as the economy sees a slow but steady incline. This entry was posted on Wednesday, September 30th, 2015 at 12:32 pm. Both comments and pings are currently closed.